Mortgage Update Los Angeles: Changing Mortgage Market - Should You Use Broker, Mortgage Banker, or Bank? Bank, Banker and Broker - What's the difference in 2017? As you move through the mortgage process, you may have been inundated with information about the mortgage and banking industry and from your vantage point, a lender is a lender. However, in an effort to offer clear, simple mortgage education, Guaranteed Rate wants you to know not every lender is created equal. Distinguishing the differences between banks, mortgage bankers and mortgage brokers can save you some frustration, time, and in some cases, money. Banks are typically local brick-and-mortar financial institutions which offer mortgages as well as traditional banking services, such as checking and savings accounts, along with other financial services such as wealth management and investment advising. 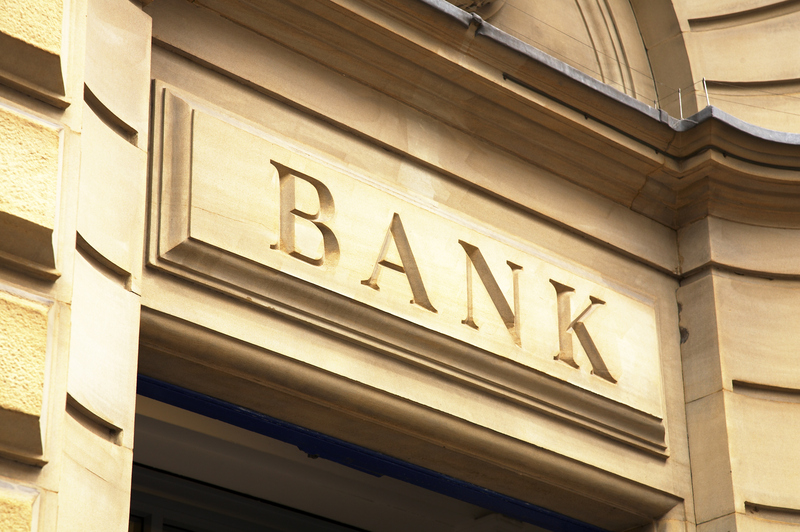 The law requires that banks use a percentage of their deposits for lending purposes. Interest earned from loans allows a bank to lend money for many types of loans such as: auto, personal and mortgage. Physical presence for servicing issues. Flexible lending due to long-term business relationship. One stop shop for all of your financial needs. Underwriting and appraising managed through national channels vs. local channels. It is important to know bank mortgage advisors are often not well-versed on all possible mortgage lending options and do not have the lending flexibility of a banker or broker. The reason for this is two-fold: bank employed mortgage advisors are not required to attain federal mortgage licenses and are usually limited to the mortgage products their bank sells. Additionally, unlike true licensed loan officers (who are employed by bankers and brokers), mortgage advisors from your local bank earn a salary and do not have to cultivate consumer relationships. Mortgage bankers are a one-stop mortgage shop of sorts. With access to lenders such as Fannie Mae, Freddie Mac, Wells Fargo and Chase, bankers are able to offer a vast array of home loans such as Conventional, Jumbo, FHA, VA and USDA. Unlike banks, mortgage bankers concentrate solely on mortgage lending without the distraction of other lending products or personal finance services. They typically employ in-house underwriters and loan processors; however in this case, in-house loan processing translates into accelerated loan processing – this allows them to close loans within 30 days or less. Variety of flexible loan options. No physical presence for servicing issues. No flexible lending due to long-term business relationship. When you conduct business with mortgage bankers you are working with federally licensed professionals. Licensed loan officers have chosen to sell mortgages as a career and are well-versed in lending laws, lender guidelines and are 100 percent vested in counseling you, structuring your loan and closing the deal. Mortgage brokers are federally licensed firms or individuals who sell loan programs on behalf of lenders. Loan officers who work for mortgage brokers facilitate your search for the most suitable mortgage product and structure your loan to suit your financial goals. The main difference between a mortgage broker and mortgage banker is that mortgage brokers do not process any loans – every loan is sent to the lender for processing. Additionally it is the lender, not the mortgage broker, which provides the funds for your loan. Mortgage Banker: Lends you money using a warehouse line of credit and processes your loan. Mortgage Broker: Sends your loan file to a lender who will lend you money and process your loan. If the two types of institutions are combined, the consumer can benefit with a wider variety of mortgage financing options. Online lenders are structured as both bankers and brokers. The only difference is, all of their business is conducted online. You will not meet face-to-face with your loan officer and you will securely submit all of your loan documents electronically. The type of financial institution you choose should suit your financial needs and goals, offer a competitive rate, employ seasoned mortgage professionals and provide top-notch customer service. How nicely you defined the mortgage market! A mortgage is a cost-effective way of borrowing. The rate of interest of a home loan is lower than any other loan. It is easy to get ocbc mortgage loan Singapore as it is approved on behalf of collateral or asset.